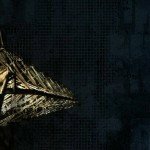 Background/Info: Templezone is an Italian solo-project set up a few years ago by Giorgio Ricci who was originally active during the 90s as a member of the legendary Italian EBM formation Temple Beat. Ricci later got involved in projects like RAN and Monosonik. 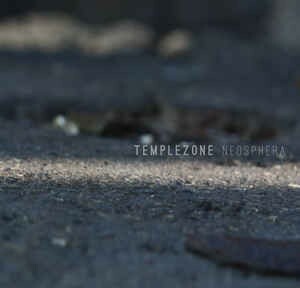 After a few EP’s “Neosphera” is the first full length of Templezone. Content: “Neosphera” definitely is one of the most accomplished compositions I’ve heard from Giorgio Ricci. It’s a sophisticated opus mixing industrial noises and pure IDM. The songs have been accomplished with numerous subtle elements like sampled voices, bleeping sequences, broken beats and slow rhythms. You can feel a real passion for sound creation, which comes mainly through from the manipulated sounds and analog noises. The songs are supported by great atmospheric synth parts injecting a dark touch to the work. + + + : “Neosphera” is an album that was composed with knowledge and you can feel the passion and patience to find the right sound, which has been put in the right place. It’s a passionate ‘intelligent industrial music’ creation, which is experimental and yet very accessible. There also is an interesting mix of influences running through this opus. – – – : I can’t find real minus points in this work, but only a few less captivating cuts like the somewhat monotonous opening song. Conclusion: Templezone composed a progressive work that will please lovers of IDM and avant-garde industrial music, which is more based upon intelligent sound creation instead of cheap and noisy improvisation and/or endless repetitive power-loops. Best songs: “Ashram”, “For”, “On”, “Plastic Love”.